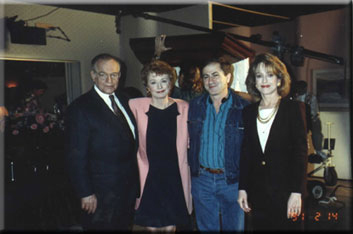 Richard Dysart, Diana Muldaur, director Menachem Binetski and Jill Eikenberry in L.A. Law. I'm predictable, I know. 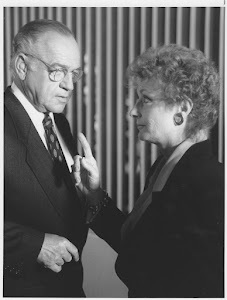 But this really is a fabulous show, and Rosalind Shays is without any doubt Diana's greatest role. She totally owns the show. Season 4 was released a couple of months ago, but we'll have to wait until July 22nd to buy season 5 (a season packed with wonderful, intelligent and unexpected scenes). 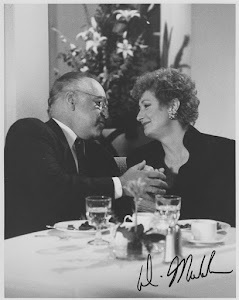 Seeing Diana act with Richard Dysart and Jill Eikenberry is like seeing the face of God! Seriously! 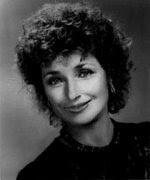 Diana Muldaur and animals - need I say more? This show is heaven! My favorite among Diana's feature films. Based on the wonderful novel by Tom Tryon. This Blu-ray box has a lovely interview with Diana - so it's a must buy weather you're a Trekker or not. "When your wife abandons you in the desert and you've got a broken leg, it doesn't matter how much money you have. Only how much hate..." I think that presentation on the DVD cover says it all - don't you? Diana is in Murder in Three Acts, but there's nothing wrong with watching all three movies in the box set. This is not one of Diana's biggest roles, but the movie still made my list because I love that it's so 80's. I'm afraid it's true: you have to buy the complete first season to be able to watch Diana as Rachel LeMaire in the pilot. But what can you do...it's Rachel LeMaire we're talking about! Charlie's Angels is a horrible horrible show, but Rachel is the queen of guest roles. She's my favorite among Diana's "only one episode characters", and her facial expressions are priceless. Believe me. Diana in a role very different from the ones she is famous for, and she's excellent as always. Diana as the leading lady of John Wayne is of course a must see.